I spent the afternoon in the basement...Ironing pieces of shirts, and then cutting 6 1/2 inch squares! I got the idea years ago to buy shirts from Good Will to make a quilt with. At first it was just shirts that said loud and clear 'To Be Worn With Jeans'....I only bought them when on sale. And I only bought sizes Large or larger. This is that quilt. It is only tied...my older daughter wanted it when I made it. It has been all over creation with her. It is at least 21 years old...maybe a little older. And still in use. The shirts are all cotton shirts. This is one that we use...I have it put away right now, but w have used it for years. It is from flannels shirts. These are the same squares as in the first photo...just spread out a bit. Yet you are still not seeing all the different flannels. It will take a lot more squares than pictured here. Yet I have not decided how big I want to make it...I want it big enough to cover up with in my chair or on the couch. But I don't think I want a full sized. But we shall see. My quilts are never planned...they just evolve. Looks like it will be a fun warm quilt. I love your quilts. And they last and last. What a great idea to buy clothes from Goodwill and cut them into squares!! ...and to me, that's be the best way to make a quilt. Never plan. That way you're never disappointed with the outcome. what a super idea, most people trash shirts that are not good enough to sell at thrift stores and they could be used for quilts. I love the two you made and the one you are starting. you are so creative and talented..
That's a good way to use up old shirts, and I'm thinking a lot cheaper than buying new fabric. I know this one will be so snuggly and warm. Perfect for the weather we are having currently. I so admire your sewing skills. The other 2 quilts are just wonderful, also. Nice thing about shirts from a thrift store is that they have been washed and have already shrunk! Looks like a good project and it will be warm! 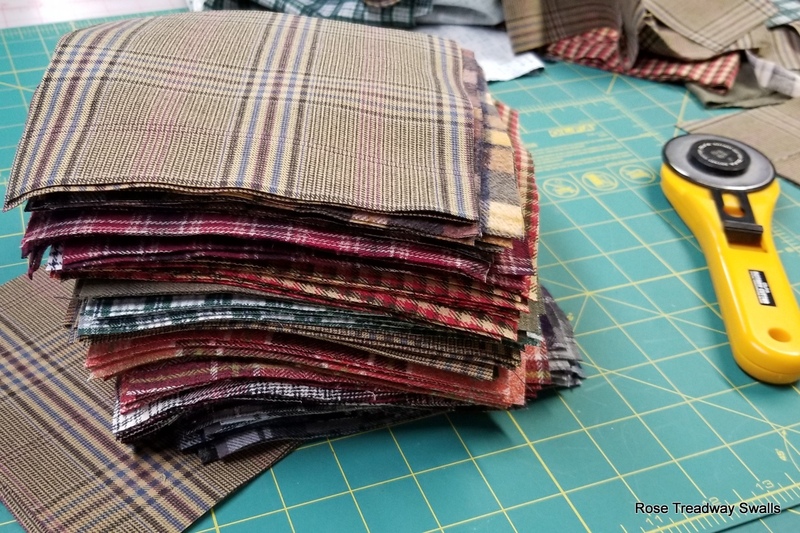 The first quilt I ever made was from old men's shirts, flannel housecoats, and very worn pants. I sure was proud of that quilt, but it was not nearly as nice and pretty as yours. 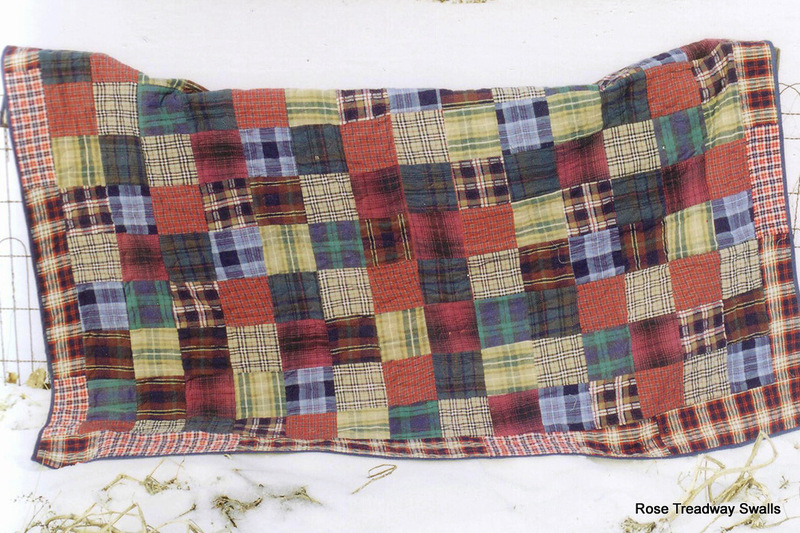 Old flannel shirts make the softest warmest quilts. It's a nice variety of squares. I hate cutting. It's a necessary evil. But I love to sew. I sure like that flannel quilt. Would love to have one. Must be so cozy and warm. This is a wonderful idea! Have a happy valentine's day tomorrow.